The Galaxy S9 is a fine phone, but it just launched and its price hasn't had time to cool off. The Galaxy S8 is a different story. 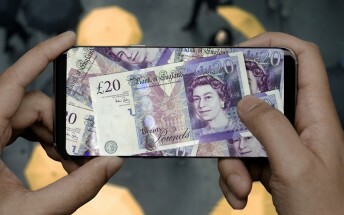 It's price in the UK is under £500, compared to £740 for the S9. You can find a new unit from Amazon for £475 or from Alternate for £490. It's the G950F model with Exynos 8895 (single SIM). You can go lower than that by getting a seller-refurbished unit from eBay. A Vodafone unit in Pristine condition is £430, the unlocked one is £470, so not really worth it. Note that this is for the Black model, other colors cost more. Dropping down to Good condition, the lowest price is £360 (Grey phone for EE), which is at least £100 off a new unit.